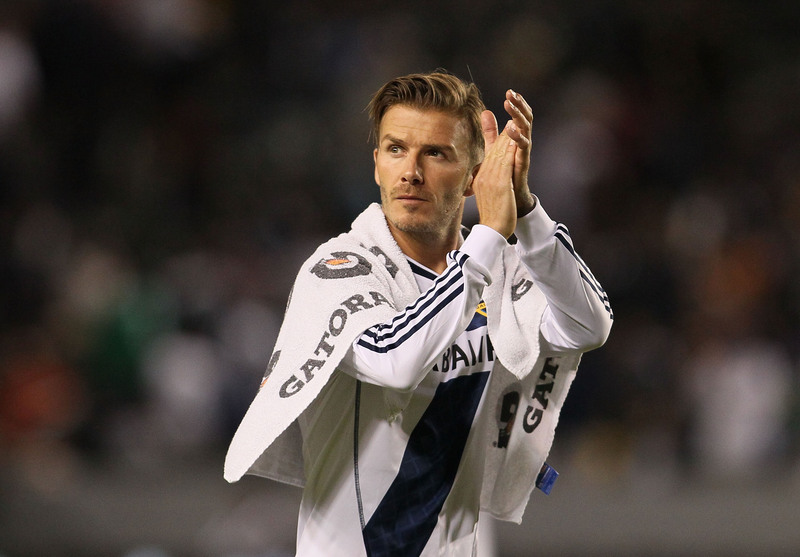 Did the Beckham project succeed in the U.S.? So did the "Beckham experiment" work? In my book it was always going to be unfair to charge him with the near impossible burden of becoming America's soccer saviour. It was simply never going to happen in a land where the beautiful game is routinely forced to play second fiddle to its more established alternatives - and I'm sure deep down Beckham himself knew this. Realistically- his inner goal when he signed for the Galaxy would have been to make an impact and there's no question he's certainly achieved that. Strikers Thierry Henry and Robbie Keane were both likely influenced by Beckham's move to the U.S. Other stars will follow too, with Chelsea midfielder Frank Lampard already being linked with a high-profile move to LA. Attendances are up. Galaxy jerseys went through the roof when he arrived and the league has seen seven extra franchises added since the start of 2007. There are now 19 clubs in the Major league Soccer (MLS) and most of them have state-of-the-art soccer-specific stadia. That's fantastic growth and Beckham can be proud of his contribution to that and the overall MLS feel-good factor, though Seattle and Portland will rightly point to their own hot-bed of soccer passsion which exists whether the former England captain is around or not. However as far as his playing legacy's concerned it's vitally important he leads the Galaxy to victory over Houston at the weekend otherwise he's bowing out with just one title in nearly six years. That is far from spectacular given the franchise won two MLS Cups in a four-season spell prior to Beckham's arrival. Victory would be a fitting end to his LA career. Certainly a far cry from his early days in California when fans and even teammate Landon Donovan questioned his commitment to the cause due to his insistence on returning to Europe for various loan deals. I'd be surprised too if some sections of the Galaxy fans aren't disappointed by his decision not to complete the two-year deal he signed earlier this year. I'm certain he WON"T retire. I take him at face value when he talks about "one more challenge", though I don't subscribe to the view he can have his pick of clubs. Old Father Time has seen to that ambition. My own verdict? The popular Englishman certainly played his part and will rightly have his place in MLS history. The game in the States continues to thrive as a result. I believe he's taken the game here to the next level. But there's still plenty of work to be done making the Beckham Experiment not quite yet mission accomplished! As much as the writer of this article wants the U.S. to be like Europe, we are not. Take your soccer-loving articles back overseas...we'll continue to enjoy real sports like baseball, football, basketball, and even bad mitten is more entertaining. No because most Americans cannot think outside the box and do not have the patients to follow the wonderful game of soccer. They're more interested in the likes of the spectator event of NASCAR which isn't even a sport and over paid brats as those found in the NBA and MLB. Drew, you ALMOST had an argument there until you mentioned 'bad mitten'....proving that you as is often the case with some Americans are incredibly insular. Real sports are played in more than just a single country. Broadmindedness is not such a bad thing, ignorance only self-hurts. Oh yeah Drew. Such worldclass sports that arent even relevant round the world. Nascar – round and round we go. Where else in the world? Nowhere. Boring. Indycar – round and round we go. Where else in the world? Nowhere. Boring too. MLB – World series? Pah. Not even relevant round the world. Still has a laughable title. World series. It's a laughing stock. NFL – so much padding that they look ridiculous. Look like they are inflated. Rugby – played around the world. No padding. Cricket – played around the world. true world series. F1 – around the world. they can even turn corners. In short, don't hate dude. You look stupid... and it comes back to bite hard. A few completely ignorant comments in here coming from a few ignorant minds. Lobo I can appreciate what you said. Drew, to think the world revolves around you, and American sports is the most arrogant thing a person can bring up. To try to demean soccer (or other sports) with your words is just stupid. Contrary to my username and my like for soccer, I am an American and basketball is actually my favorite sport, but I have a spot in my heart for both playing soccer weekly and as a spectator. Let's go down the list and address the sports you mention as being "real" sports. Baseball was a sport that was rooted in racism until coloreds had to break the barrier from it being a caucasian only sport, and now in spite of it being a sport for all Americans, America has created a mockery of itself by allowing so many fake athletes to play the sport, and awarding the major dope takers with awards and titles. Furthermore even with the super strong dope takers and such America can't even win the World Baseball Classic against the Japanese! Football is the number 1 sport in America but not in the world. It speaks to your mind the most because in your own mind you are the most important person in the world and your faux patriotism is what you hold most dear to you. As soon as you break outside the box and embrace the world is when your playground and knowledge bank can actually grow bigger, and maybe then you can actually start enjoying yourself and your life more without the hostility to anyone that's not "white" American. Basketball is as much Canadian as it is American, don't try to claim credit for inventing it. Badminton (which you can't even spell by the way) is not American in the least bit, it's British-Indian. Anyways I am quite certain you will just shrug of what I say to you and go back to watching NASCAR, maniacs just driving cars around in circles 300 times, no athletic ability required. To say the least I pity you more than anything else. You're so small and petty. Digressing from my attack on fools. I appreciate Beckham for coming over, he has been a great ambassador to the sport and really helped to build it up into something much more than what it was prior. I'm a huge Beckham and Galaxy fan and I'm going to miss him. I'm sorry to see him go shy of fulfilling his two year contract extension but I understand why he must leave. It's imperative Galaxy win their next Cup or his coming won't have the lasting impact I'm sure he and his fans really want him to have. Really, good luck. Yep. Americans like only "real" sports like base ball and football. Unfortunately for them, only they like it. So that they are only the ones good at those sports that when they win a championship they can call themselves "World Champions". hahahahahaha. They don't like REAL football because they CAN'T WIN. LOL! I truly hope football (the one with round ball) does not become mainstream in the US for the simple reason that America would ruin the essence of the sport. It is totally ok for Americans to love their menu of sports and for other countries / cultures not to find the appealing. That is hat makes the world interesting. There is no need to gratuitously diss each others' tastes and preferences. @Drew, thats your response, "we'll continue to enjoy real sports like baseball.." wow, thats myopic viewpoint should get you far. It's so funny when the undernourished brains of some of us Americans compare baseball (its called a "pastime" not a sport for a reason John Kruk) to soccer. Despite some of the ridiculous dives and whining, there are few sports that require more athletic ability than soccer. Our US cultural impatience at not seeing scores increase every 3 minutes is juvenile and probably also explains why we are so fat from eating fast food. Then again if you're a baseball player you can be McDonald's obese and still be considered an MVP. can anyone explain the meaning of baseball? why the players spit all the time, many times throwing in sequence- oh, sorry, didn't work, may I throw the ball again? – oh, yes, of cource, come on! OMG is this the "real" sport? As a sports lover what I find really strange is when people put down sports they don’t love, apparently unable to see any redeeming features. My love for sport is all embracing. I may not completely understand much of the terminology, the tactics, or the nuances of, say, the NFL or test cricket, but I can appreciate the athleticism of the players, the passion of the crowd, and the spectacle. So, while I'm not a fan as such, I would never say "I hate football" or "I hate cricket" because, if I look, I can find some elements of the game entertaining. It's like watching opera. I don't understand the libretto and it's not the kind of music I'd pick given the choice, but the vocal gymnastics, drama, and maybe even the costumes or set designs can provide moments to savor whether I "like opera" or not. Furthermore, even if you don't like a sport, why attempt to belittle it or question the validity of its place on the sporting calendar? If it can generate an audience and/or participants then its berth is warranted; and, if you love sport, I would think you can find theater in any athletic endeavor, which is the primary reason the Olympics is able to exist? Yet still this bigoted attitude toward soccer persists in America, where some sections of the public and the media continue to deride the game and treat it as a pariah. So why are these people so anti-soccer? Could it be that they’re running scared? After all, the credibility of soccer is evident geographically, historically, financially, and socially. The fact is it’s a global game with a massive audience and a tradition dating back longer than the USA has existed! So, unless you critics have 20/20 vision and the rest of the world wears bifocals, there must be some merit to the sport. Therefore, all I can surmise is that the bigotry you hear from America's anti-soccer brigade is born out of a fear that the domestic supremacy of their traditional sports could one day be displaced by the global behemoth that is Association Football. Technically, I suppose, that could happen, especially if you see America’s appetite for sport as finite. For sure, the Beckham era has coincided with America's commitment to soccer increasing exponentially - the Barclays Premier League on NBC next season!!! Who'd have thought it? But the more likely scenario is that soccer will co-exist with traditional American sports, not surpassing them but becoming a significant addition to the sporting landscape. And that would be a good thing, not just for the game of soccer but across America’s sporting spectrum, as it could increase the global relevance of America as a sporting entity in a world where, currently, there’s “sport” and then there's “American sport”. That in turn could perhaps make the world more receptive to US sporting exports in a quid pro quo type scenario, meaning the much vaunted globalization of leagues like the NFL and NBA might turn from rhetoric into reality. Of course, that's just speculation. But what I do know is that at present too many Americans adopt an isolationist policy to sport that marginalizes their athletic achievements on the world stage. Sport is sport, and the naysayers need to recognize that the rise of soccer in the USA is not an “either or” situation unless you make it so. The much fear of soccer in the U.S. that's to bad. U.S. Soccer is here to stay and attendance are greater than Basketball and Hockey. I do not really know what makes Beckham such a celebrity. Surely it cannot be because he is such a spectacular soccer player. Yes he could once "bend it" but I really do not put him up there with Ronaldo, Ronaldinho, zidan, C. Ronaldo or Messi. I have seen great soccer players like Platini, Socrates, Croyff, Addiles Von Basten et al. You notice I didn't go as high as Pele or Maradona. For soccer-football to get bigger in the USA there has to be a more competitive league. Europe and South America are the powerhouses in the club sport. I think in the future with enough money, there will be strong club teams in the USA competing against the elite in club soccer around the world. Soccer-football is the biggest and most competitive sport on the planet. Americans don't call it a real sport, but why does the whole world play it then and not American sports? You ever see a NFL world title anywhere? The world series in Baseball, NBA Finals, NHL Stanley Cup are NBA world titles, MLB World Titles, because in the professional club sports there is "No real world titles in clubs for these sports in America". America is stuck in the matrix. Soccer-football is big because it is a international sport played by 200 countries world wide. Drewiswrong is just, well, wrong. We don't need the rest of the world in order to be "relevant." In fact we don't need the rest of the world at all when it comes to sports. the rest of the world can keep their second rate "sports." As an football fan in England (that is a fan of both Man Utd and the Oakland Raiders). I started watching NFL when Lyle Alzado was playing. Heres my view. I enjoy both sports to watch but to play they are not for the same bodyshapes. Lets be realistic – if Landon Donovan had prefered football to soccer with his frame even if he had bulked up how many positions could he have played on a football field at the top level he has reached in soccer – none, he's not big enough to be a cornerback... Lionel Messi is now seen as the best soccer player in the world but as a full grown adult probably would barely be big enough to make a top US high school football team unless he bulked his top half to be a scatback. Similarly Jason Pierre-Paul would not be suitable for soccer short of central defender or goallie and then he would have to be leaner than his frame would probably allow. I'm guessing the reason for some or these disputes is that in the US soccer was first popular with girls and therefore not seen as a "proper" sport for guys whereas in the rest of the world it always was a guys game first. To be honest you should be proud of the fact that the US female soccer team led the way in promoting female soccer more across the world. I wouldnt discourage the shorter, leaner guys (espacially kids) from taking up soccer in the US as surely its the sport their bodies as best suited to – it must be better for them to play some sport than none just because they are too small for football. yours is a very good. balanced and objective comment. It doesn't diss either football(played with the hand) or football(played with the foot). Its nice to get sane and rational posts once in a while, thanks for that. Simply put; the increase in the Hispanic population -mainly Mexican ; has definitely added to the growth for the sport in the USA.